The 5200 HD portable gas analyser is a rugged, heavy duty analyser designed to accurately measure the composition of common gas mixtures, while in field locations or light industrial applications. 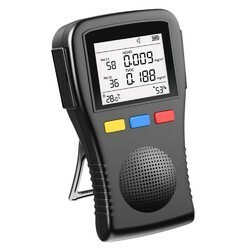 CSL manufactures range of instruments, user friendly hand held gas detectors. The detectors are low cost, light weight, battery operated, these units has been ingeniously designed for Indian conditions. Analyzing air pollution is the first step towards preserving a clean atmospheric environment. - Comprehensive functionality, e.g. calculation of qA mean value as per German Federal Immission Act (1. For catering the variegated demands of our respected clients, we are highly engrossed in providing a wide range of Industrial Gas Analyser. We offer Hand Held Biogas Analyser which is widely accliamed amongst our clients for excellent quality and durability. We provide our clients with most precision and reliable Toxic Gas Analyser. Sri Krishna International Trading Co.